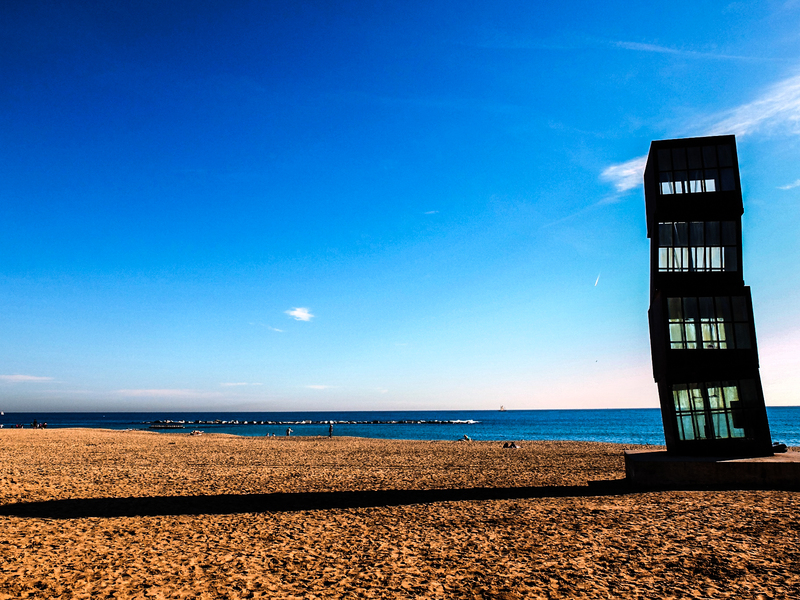 Barcelona is home. 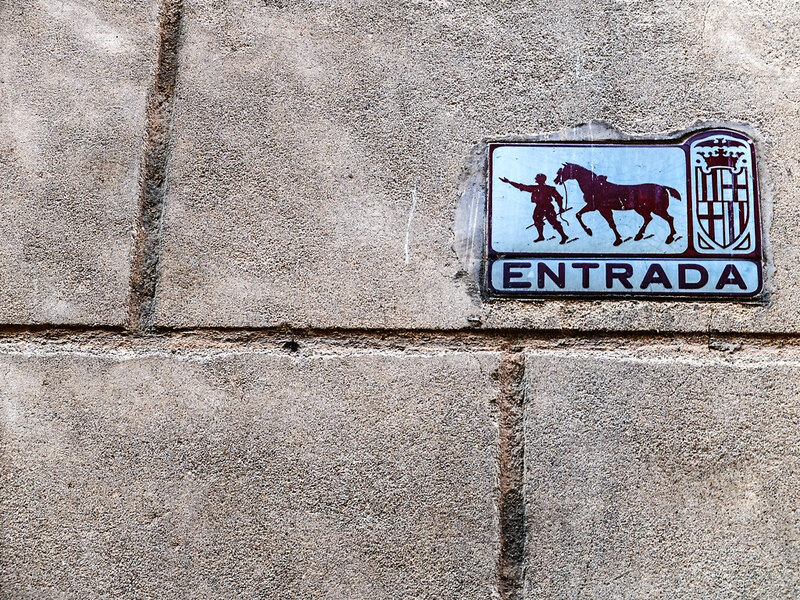 Well, it feels like home. 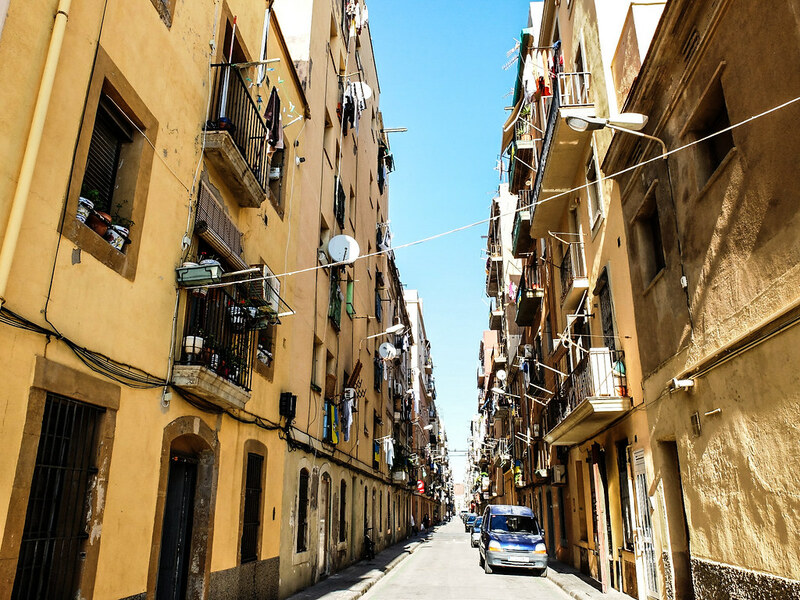 The street names are familiar sounding, I can partially understand some of the words and the warmth of both the weather and the people are comforting. 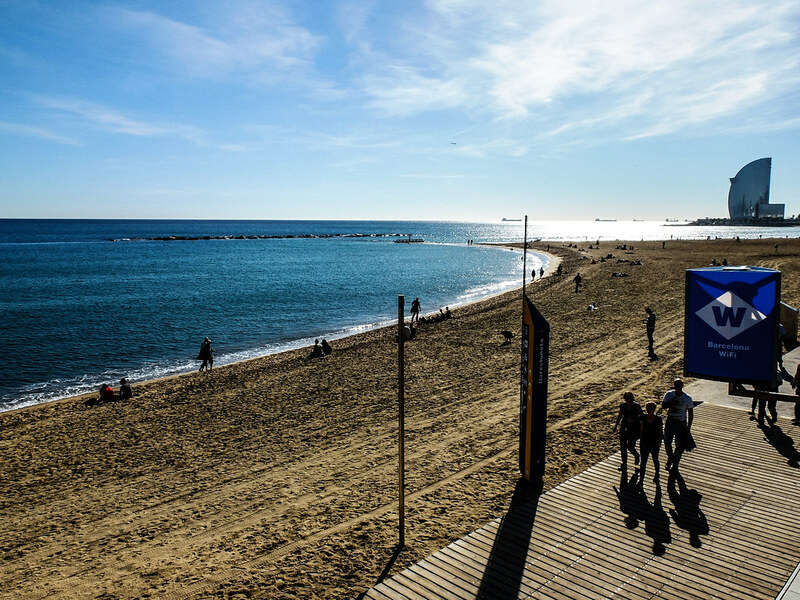 After almost a month of travelling across Europe, to arrive in Barcelona as my final destination was similar to crossing the finish line and the abundance of sunshine on early winter months was the perfect mood to celebrate this milestone in life. 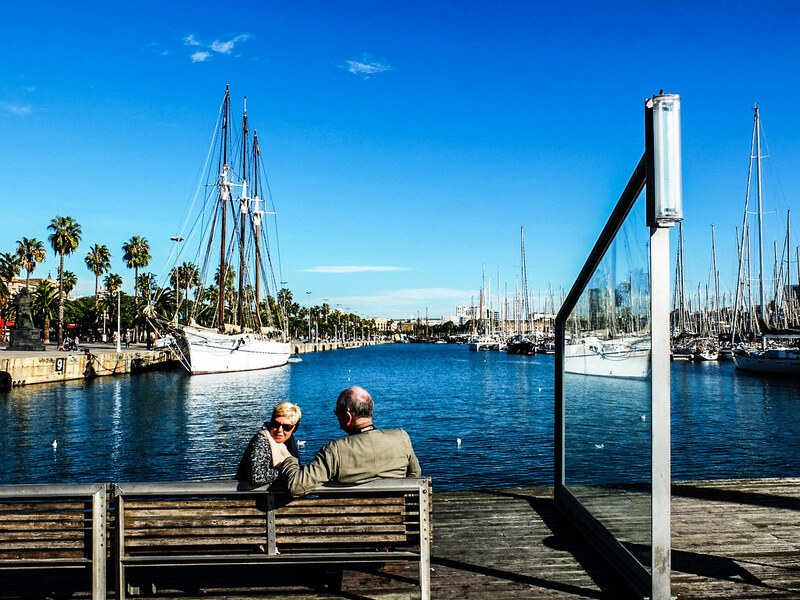 I took my time in Barcelona as leisurely and slowly as possible. 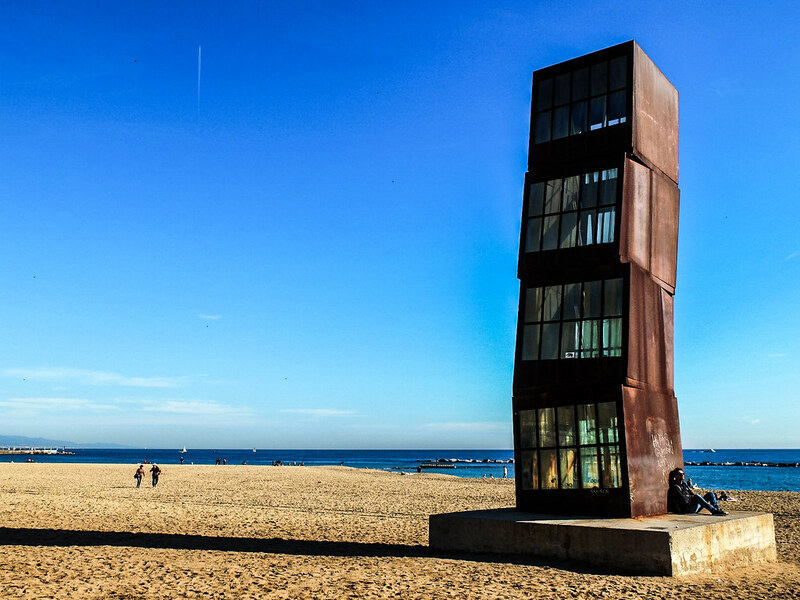 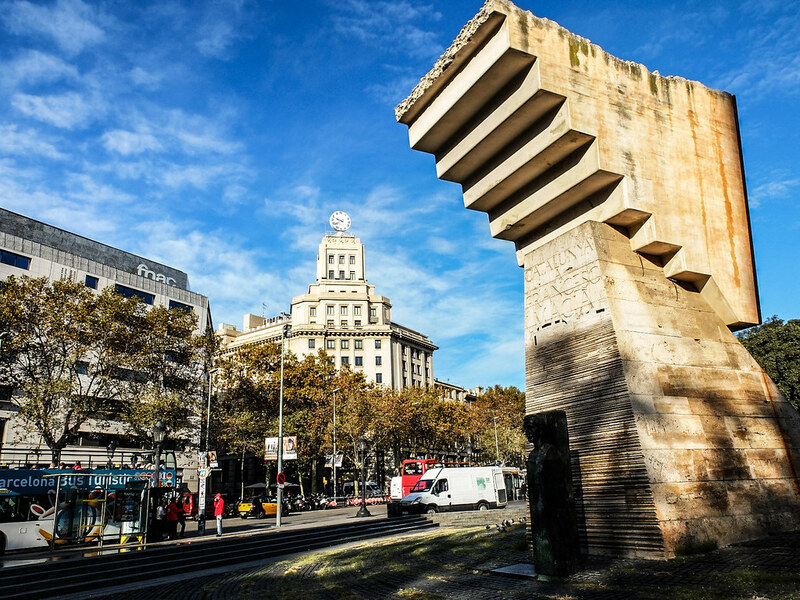 I rested and sleep well, ate a lot, and find myself occasionally heading to Barceloneta seeking the comfort of the beach against the view of German artist Rebecca Horn’s “Homenatge a la Barceloneta” monument. 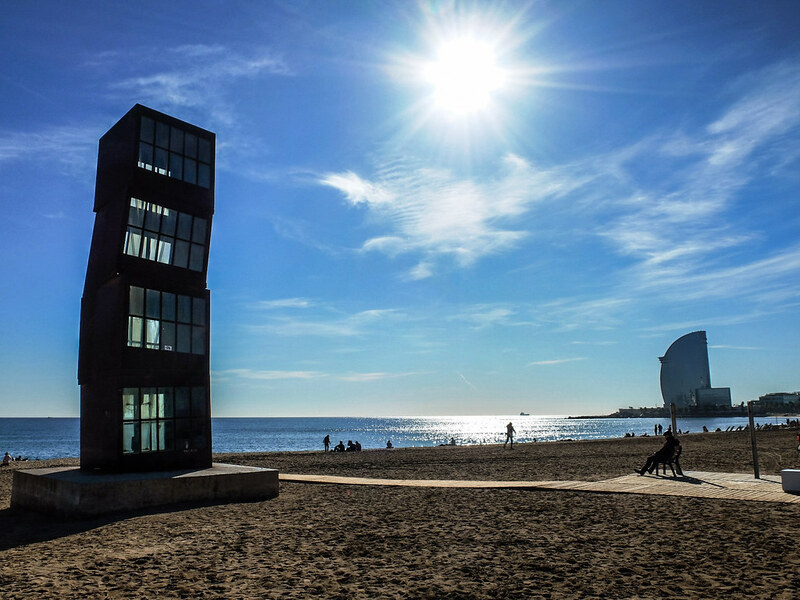 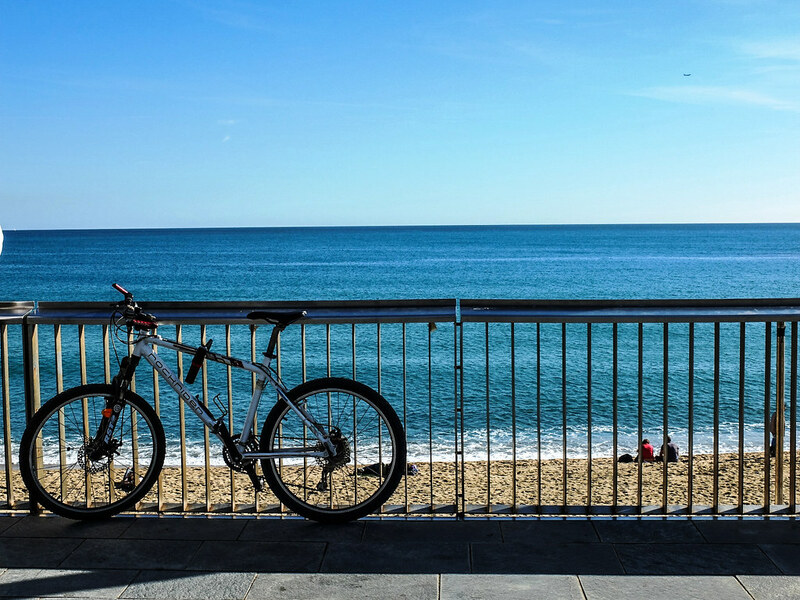 The proximity of the beach from the city center is one of the many aspects why Barcelona will always be a great city, for Barceloneta offers such relaxing atmosphere that allows anyone to just let it go- do nothing and think nothing even just for a while. 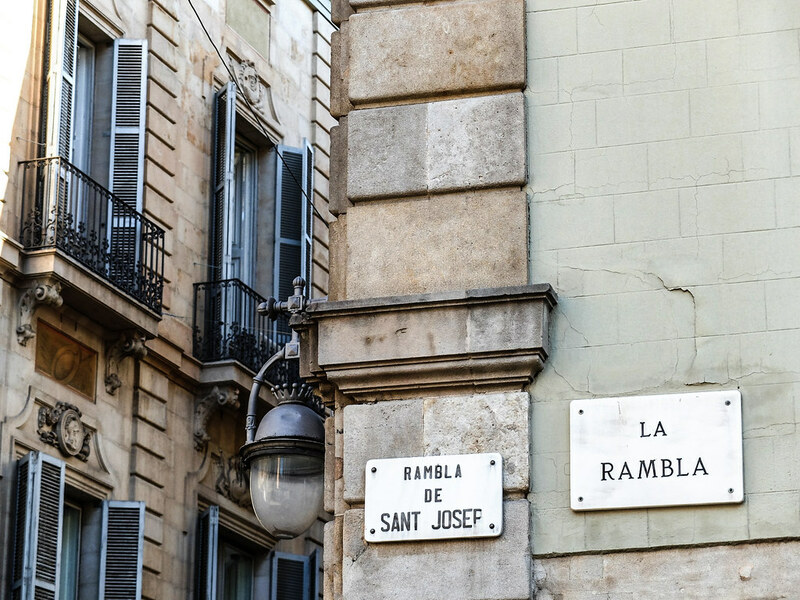 It takes a lot of effort for me to move away from the beach in order to see the other parts of the city, so when I finally decided that its time to move, the next stop which gradually turned into a frequent stop was the famous 1.2km long boulevard of La Rambla (Las Ramblas). 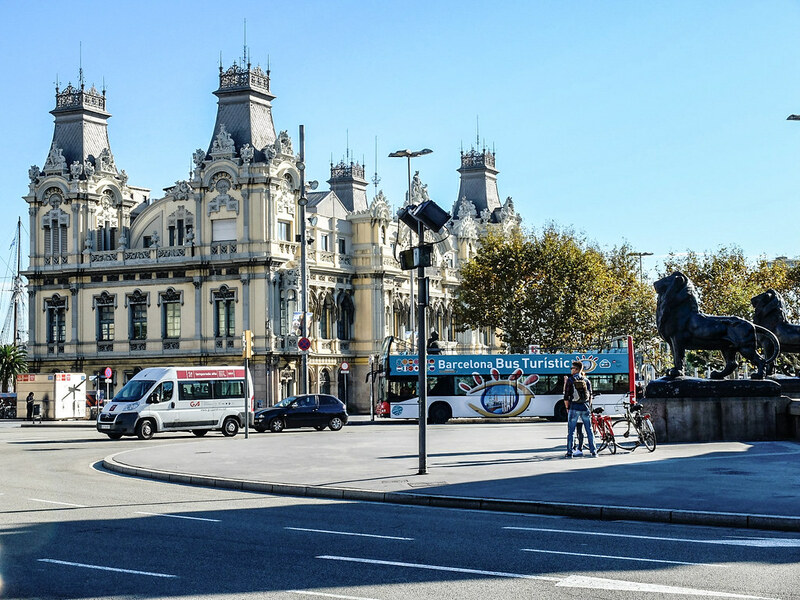 From Barceloneta, I walked all the way to Port Vell and finally crossed the main intersection where La Rambla meets the sea, where Mirador de Colom is located. 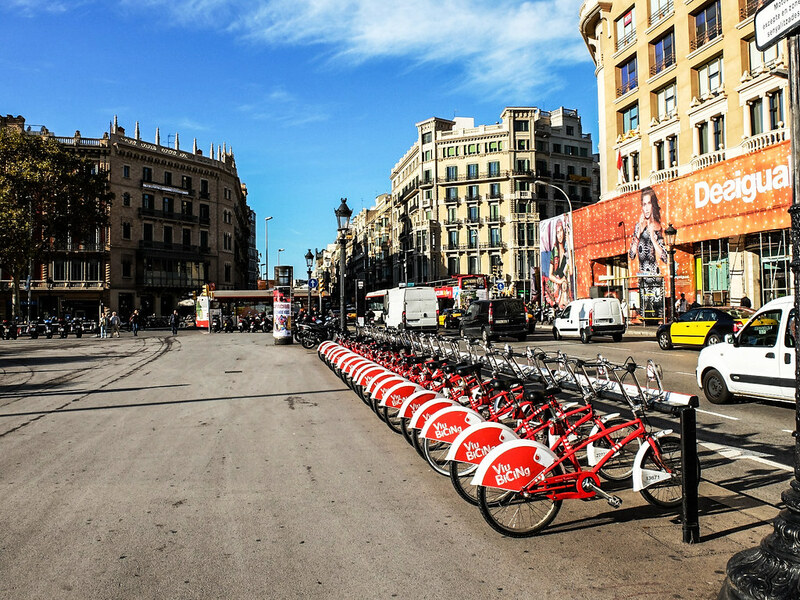 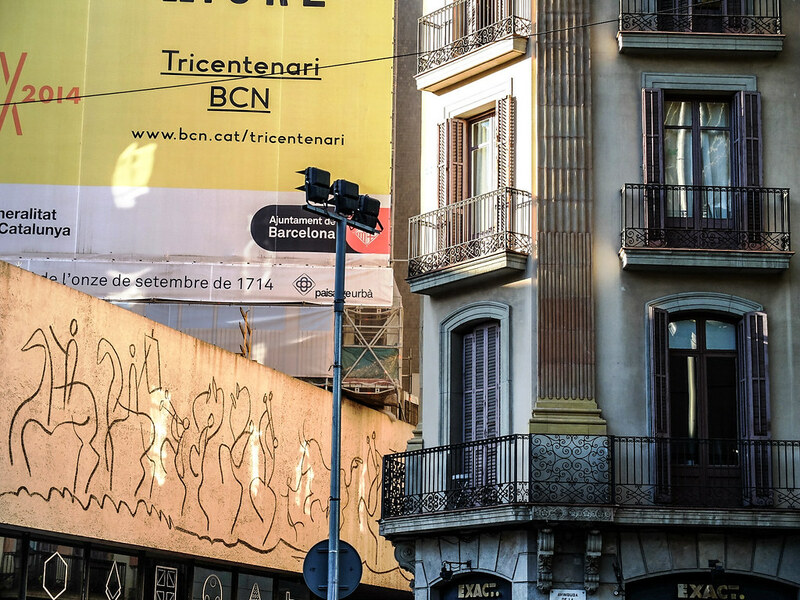 I strolled the crowded La Rambla along with tourists and locals alike all the way to the end, towards the city center of Plaça de Catalunya (Plaza Catalunya). 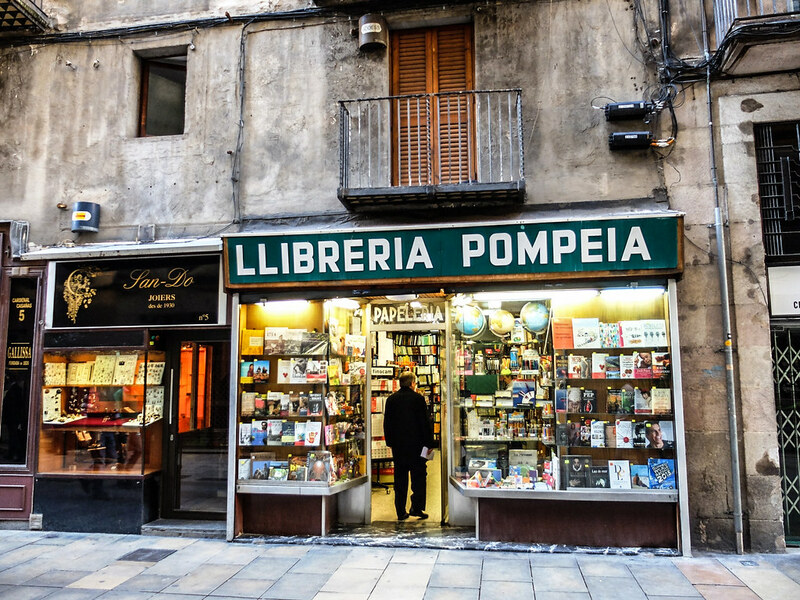 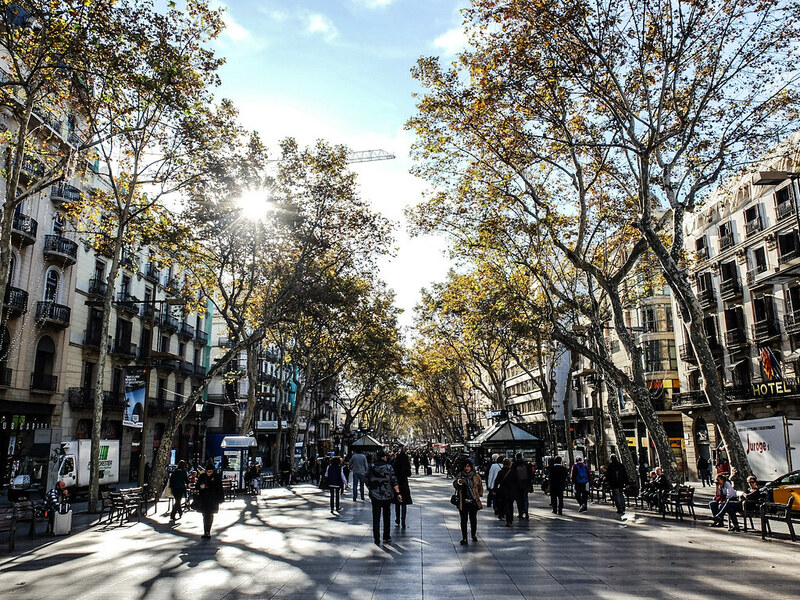 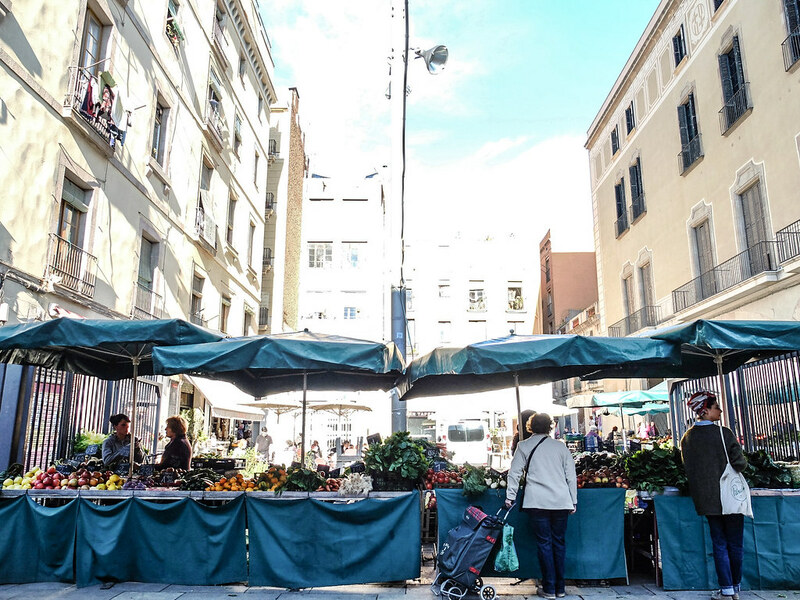 Many would say that there is nothing much to see in La Rambla except street performers and newsstand kiosk, but I guess the charm of La Rambla nestled primarily on its purpose, a tree-lined promenade open for anyone to enjoy with no apparent aim. 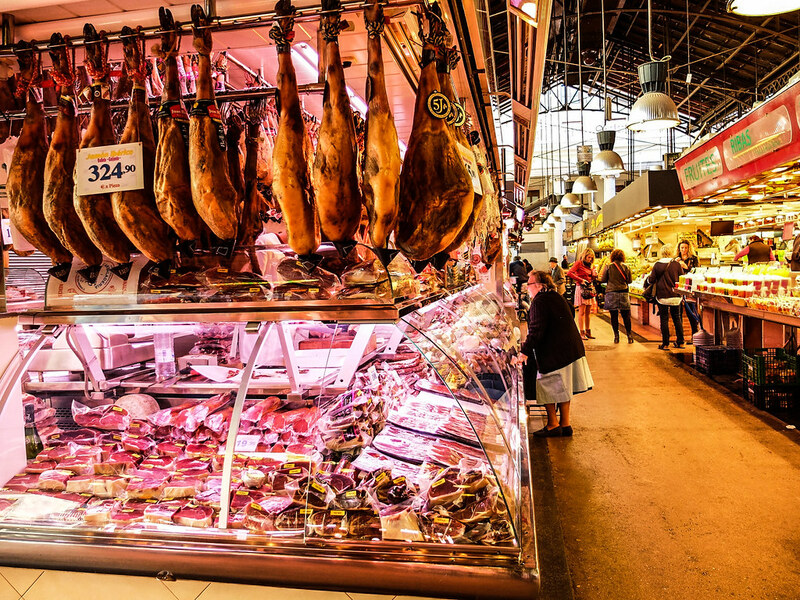 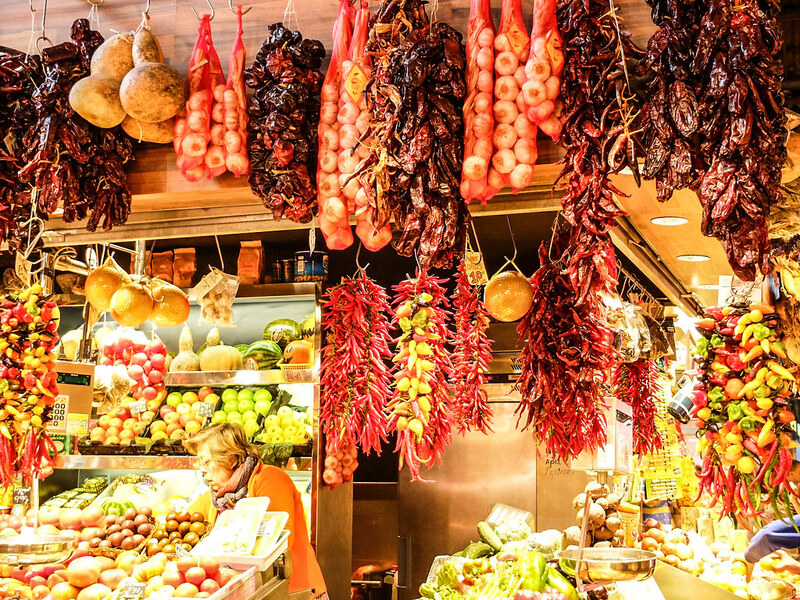 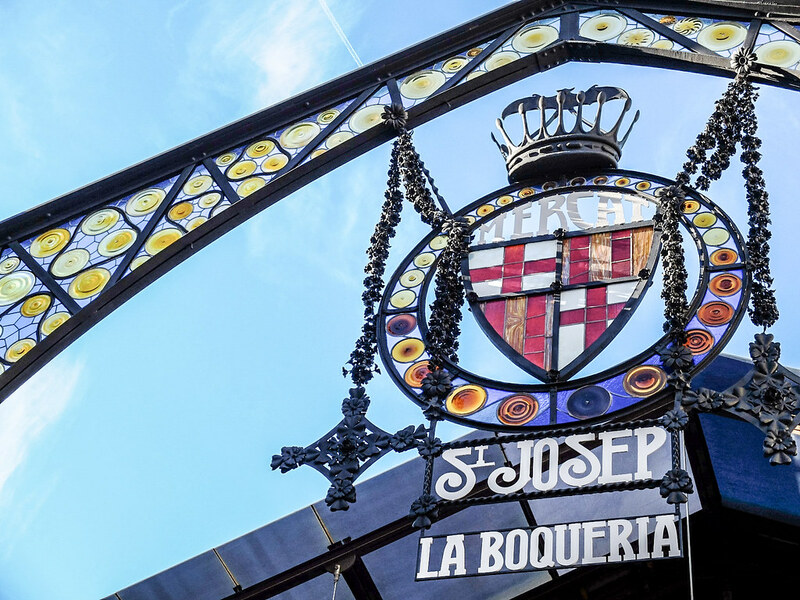 With the main entrance from the left side of La Rambla is the famous Mercat de Sant Josep de la Boqueria or commonly known as La Boqueria, a famous large public market of colorful candies, Jamon (dried hams) and tapas bars. 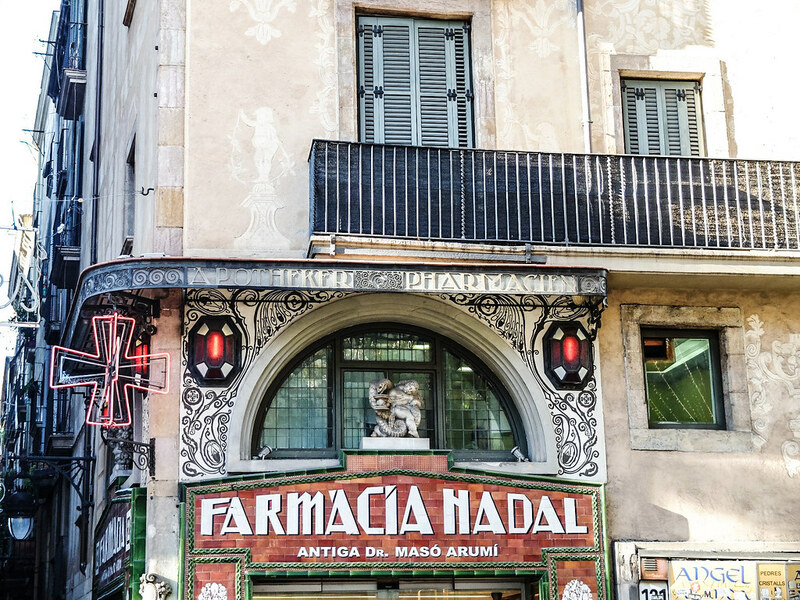 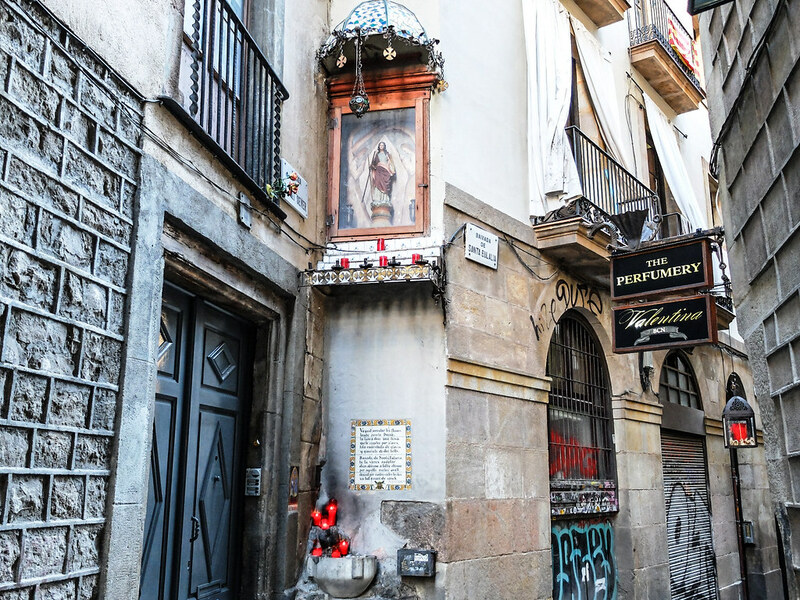 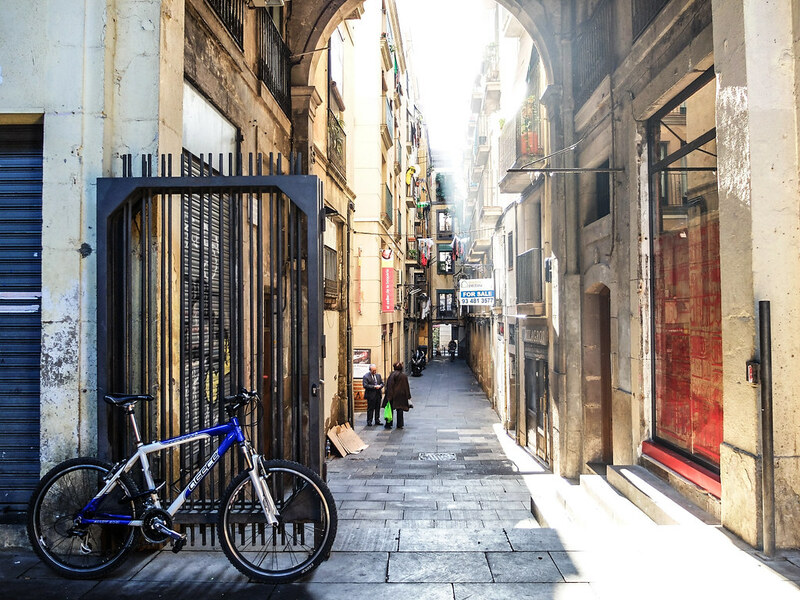 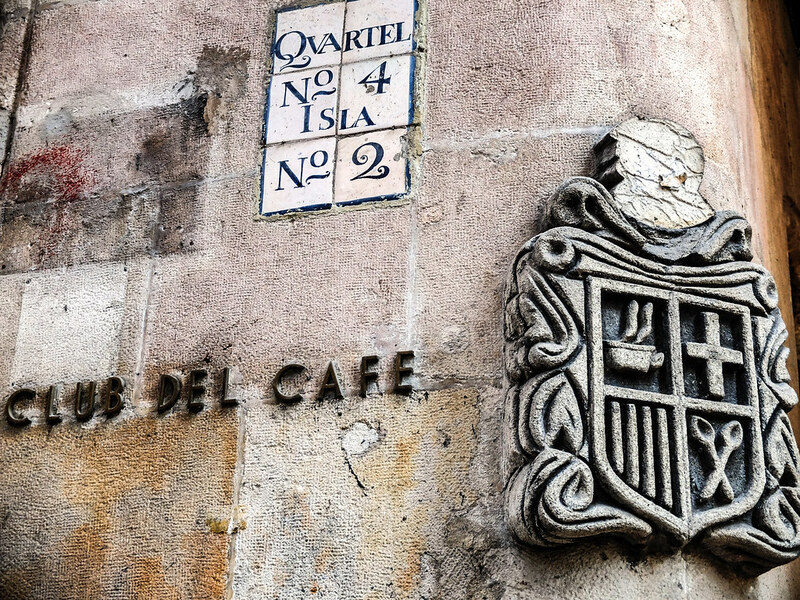 La Rambla serves as a main passage way that leads to more narrow winding streets and one of the best street to explore in Ciutat Vella is the center of the old Barcelona, Barri Gòtic or the Gothic Quarter. 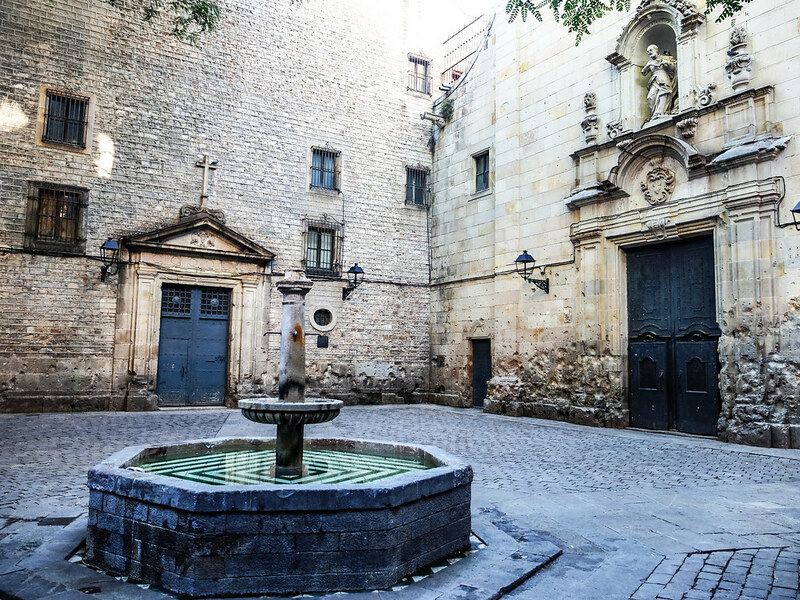 Like La Rambla, Barceloneta and Plaça de Catalunya, Barri Gòtic is located under the most important district of Barcelona, the Ciutat Vella or the “Old City”. 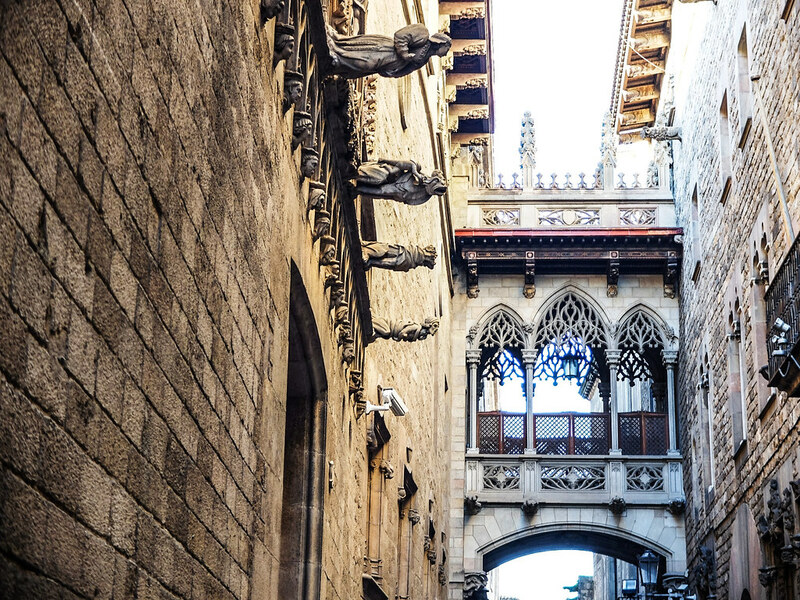 The center of Roman and medieval Barcelona, Barri Gòtic is a labyrinth of narrow streets and hidden squares, of tall historical structures and magnificent Gothic churches. 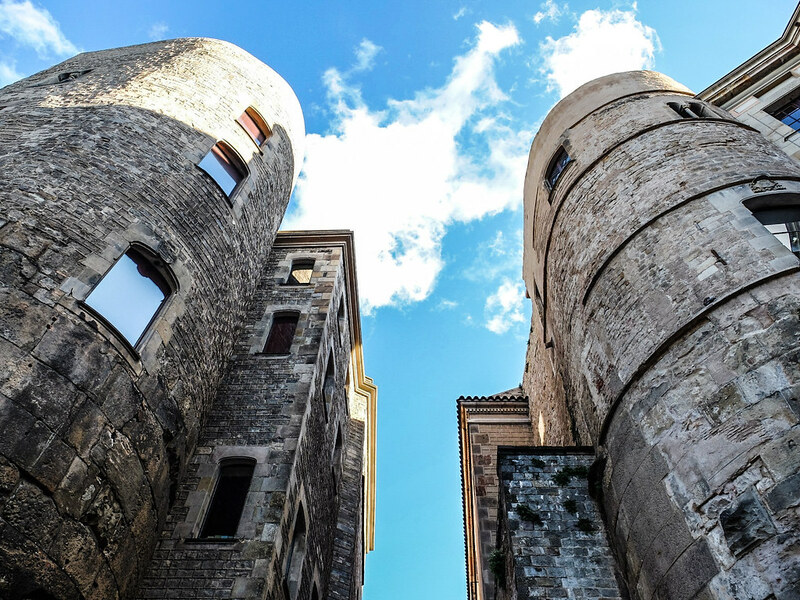 Surrounded by the remains of the squared Roman wall, it is not hard to like Barri Gòtic at all. 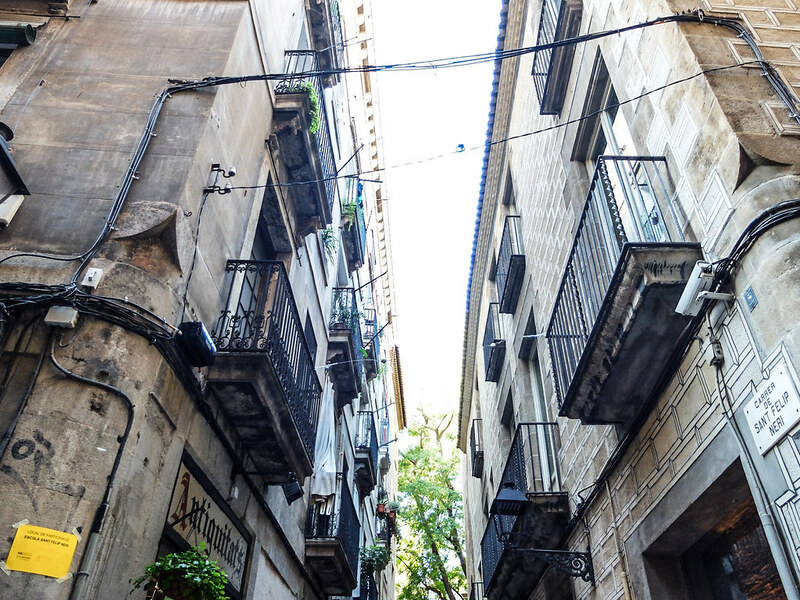 The cobbled alleyways of Barri Gòtic is is the perfect mix to the laid back atmosphere of Barceloneta and the often crowded La Ramblas. 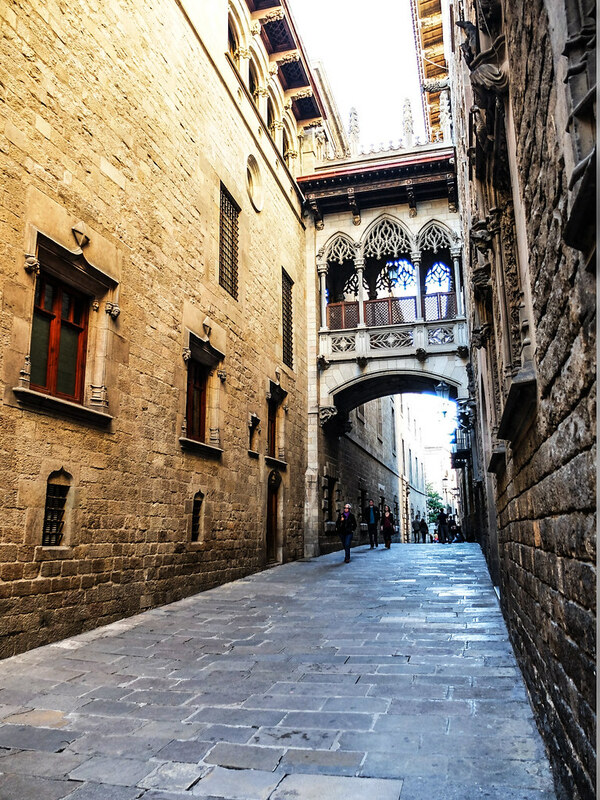 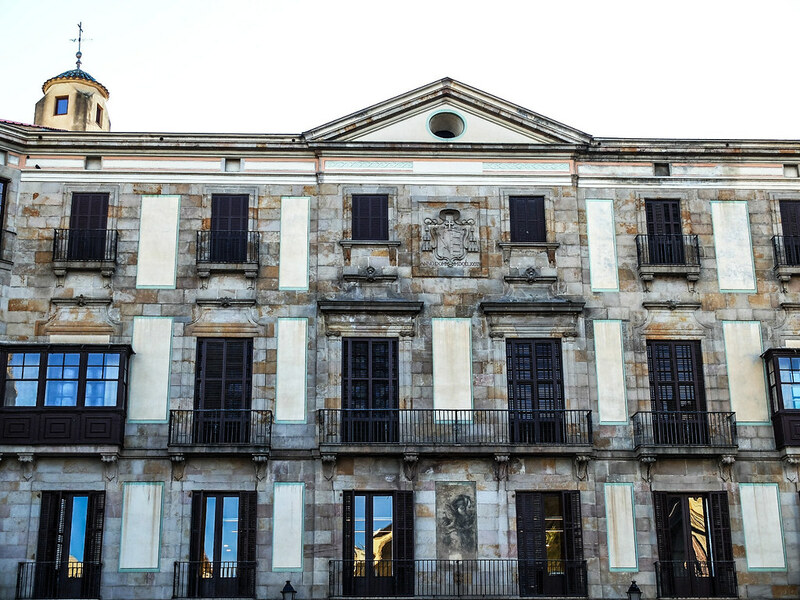 Inside the maze like streets of Barri Gòtic are some of the city most impressive architecture starting from Barcelona Cathedral ( Cathedral of the Holy Cross and Saint Eulalia ), Carrer del Bisbe, the City Hall, the El Call and Plaça del Rei. 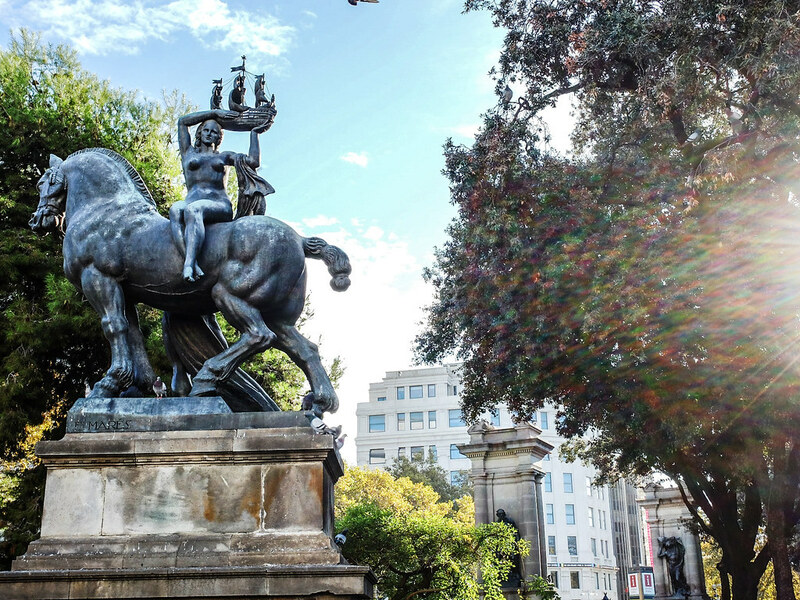 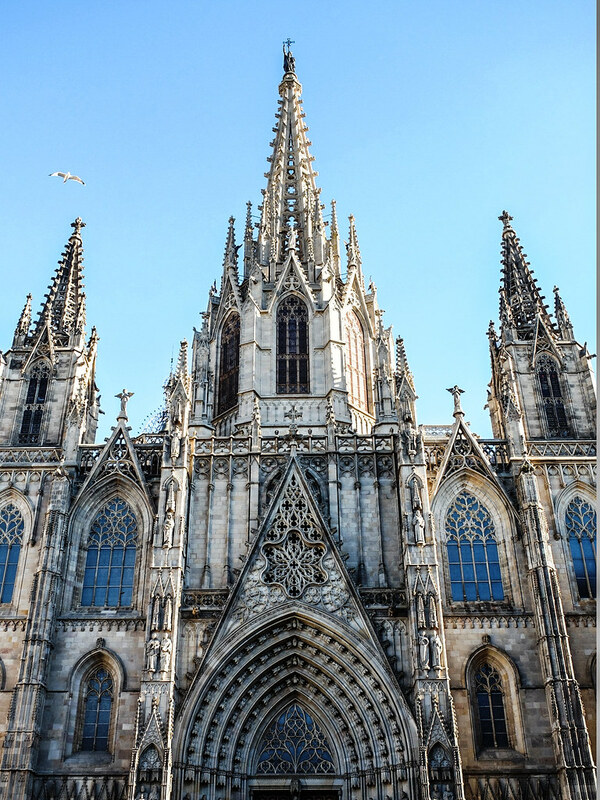 Ask anyone who been to Barcelona and they can list out many reasons why they love this city, and as for my reason they are quite simple – sunshine, paella, Ciutat Vella. 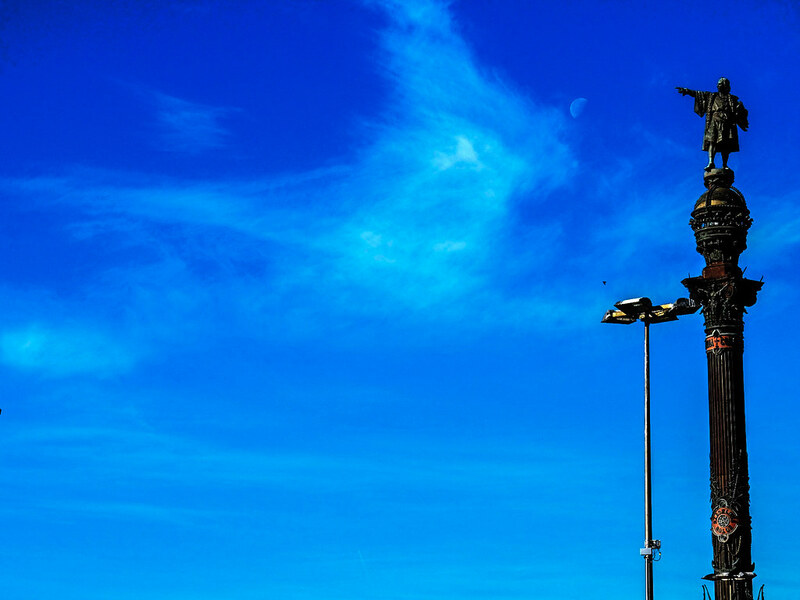 It’s so nice to see your photos. 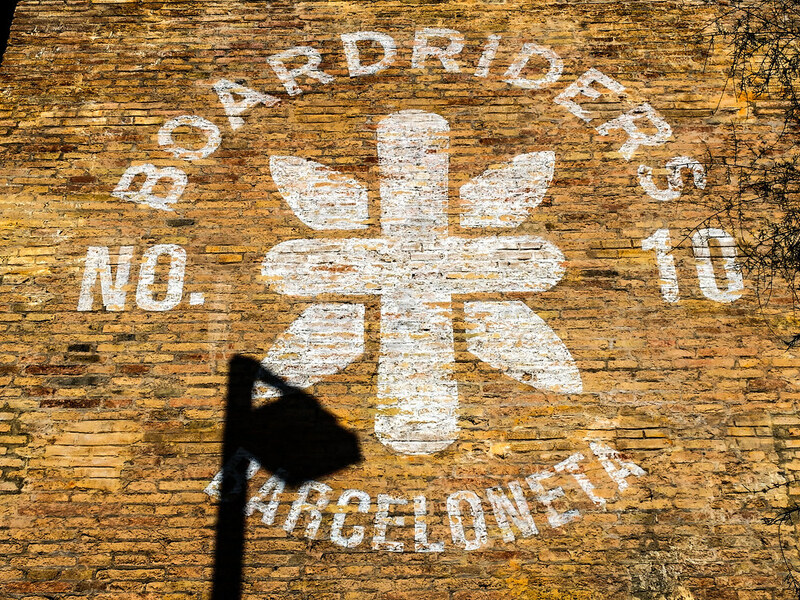 They remember me of the time I lived in BCN. 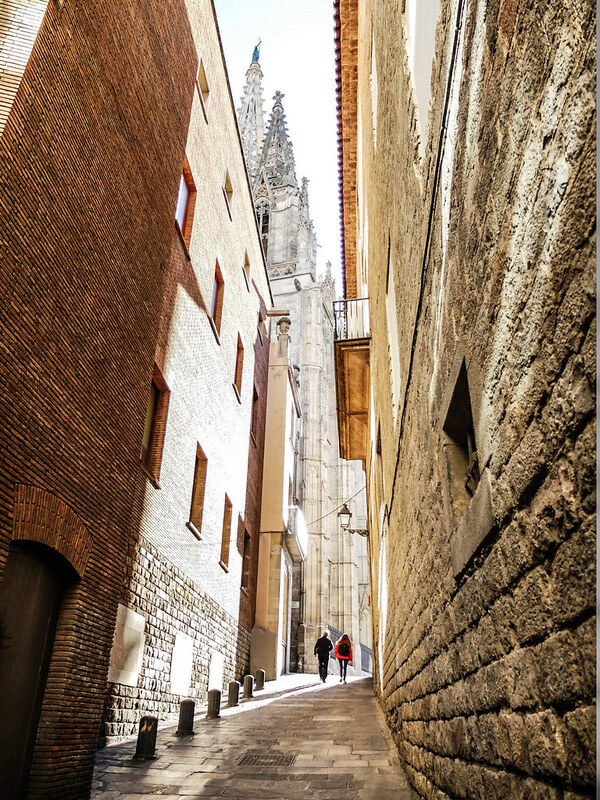 Beautiful city, beautiful pictures!